Lily, 2 1/2 years old. 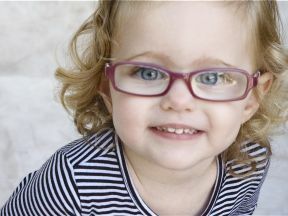 She wears glasses and patches for farsightedness and esotropia. Her glasses are Hannah Montana.